Description The story of the 206 Jetranger is somewhat different. It started with the development of the YOH-4. With this design, Bell joined the competition in 1960 to provide the US Army with a Light Observation Helicopter (LOH program). Bell was not, however, successful, with Hughes winning the day. However, to exploit the development of the YOH-4, Bell decided to try to market it as a civilian helicopter and redesigned it accordingly. One of the most important changes it made was altering the appearance of the machine; market research had highlighted that most customers found the fuselage of the YOH-4 to be unappealing (which should not have come as a surprise to Bell, as the YOH-4 had already been given the nickname the 'Ugly Duckling' during the LOH competition). Another important change was the increase in cargo space. Once Bell had made these changes (1967), the machine was very attractive and became a commercial success in the market for civilian light utility helicopters. Even better, in 1967, the US Army reopened the LOH program and selected the Bell 206A (modified into a military version). So, after seven years, Bell was able to join the LOH program after all. This military version is known as the OH-58 Kiowa. Model 206A was FAA certified in 1966, with Model 206B-3 introduced in 1977 with a modified tail rotor and a more powerful engine. In 2008, Bell announced it was stopping production of the 206B, having sold well over 7000 machines from the 206 Jetranger family. The story of the 206 Jetranger is somewhat different. It started with the development of the YOH-4. With this design, Bell joined the competition in 1960 to provide the US Army with a Light Observation Helicopter (LOH program). Bell was not, however, successful, with Hughes winning the day. 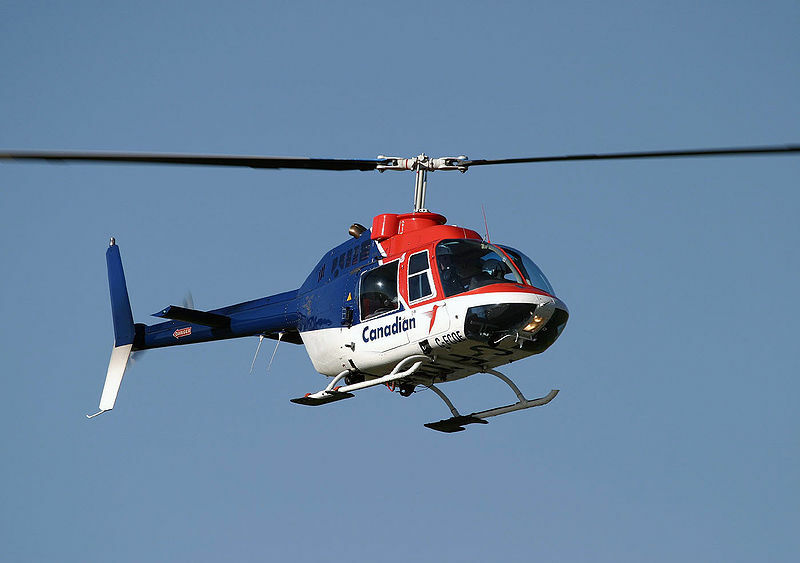 Do you want to comment the Bell 206 B3 Jetranger helicopter?